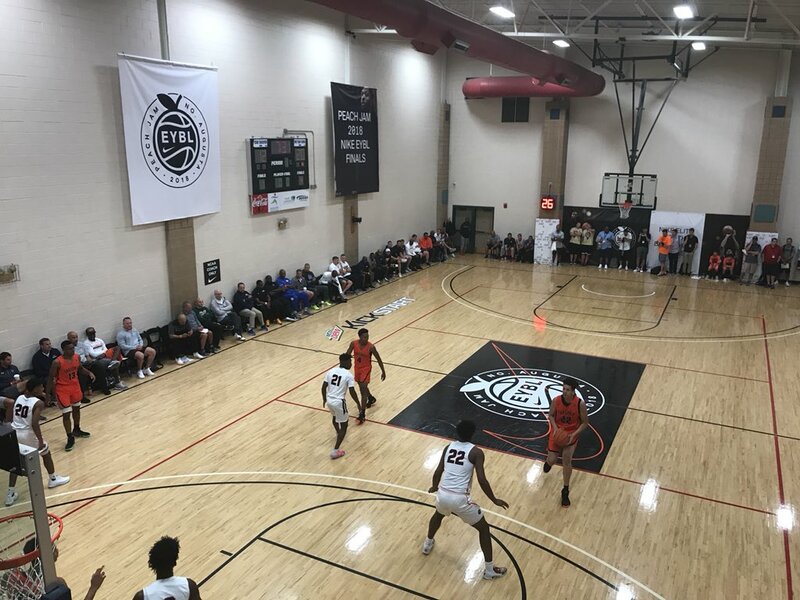 KSR Basketball Recruiting Expert TJ Walker is at the Nike EYBL Peach Jam in North Augusta, South Carolina to keep an eye on Kentucky’s top prospects in the 2019 and 2020 classes. 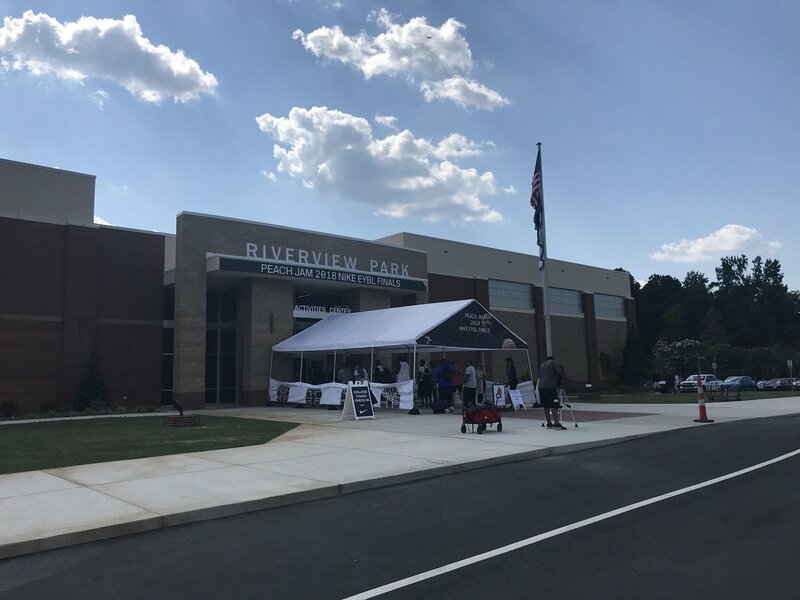 Follow along below for live updates and highlights, with the most recent at the top. 1:14 PM: I should mention Brooks is being double and tripled. It’s a tough matchup. 1:12 PM: Tony Barbee also watched Allen this morning, KSR learned. Don’t be surprised if an offer isn’t too far behind. 1:10 PM: Brooks’ team up four. Not sure Brooks scoring totals but I can’t imagine he’s in double figures. Dontaie Allen finished with 33 today. Both are wing targets. 1:04 PM: Brooks’ team has fought back from 10 down to take a one point lead with 4:30 to play. Brooks not playing exceptionally well. 12:57 PM: Keion Brooks is the second option to Trayce Jackson-David in Indy Heat’s game against E1T1. UK’s coaches have stopped watching and left the building. 12:26 PM: Calipari watching Keion Brooks with Kenny Payne. Joel Justus watching Jalen Johnson, somewhat of a new name in 2020. 12:15 PM: Tyrese Maxey says he’s unsure when he will visit Kentucky. Maybe Big Blue Madness but he wants to go with DJ Jeffries. Mentioned James Wiseman, Vernon Carey and Matthew Hurt as guys he’s recruiting. 12:05 PM: Tyrese Maxey said that his ankle is at about 70 percent. Calipari told him to sit out this week but he’s “a tough kid.” He did say that if it doesn’t feel better he may sit out the rest of the weekend. 11:50 AM: Tough loss for Maxey and company. They fall to 1-1 in pool play. 11:47 AM: Yesterday it was a dramatic win for Houston Hoops and Tyrese Maxey, today it may be a crushing defeat. They scored in OT to go up two with about 10 seconds left. Give up four points in about five seconds and now down two. 11:30 AM: Maxey’s team is going to hold on to win over McDaniels. They move to 2-0 in the toughest pool. He was solid this morning but his ankle is bothering him. Update: Actually Maxey’s team is down. Insane comeback by McDaniels team. McDaniels with a better overall effort today but he may need to do more this weekend to get an offer. 11:15 AM: Tyrese Maxey playing with a bum ankle. Probably 85 percent or so. Dude just doesn’t quit. 11:15 AM: Cal now heading to watch the second half of Wiseman/Jeffries. Memphis and Kansas there, too. 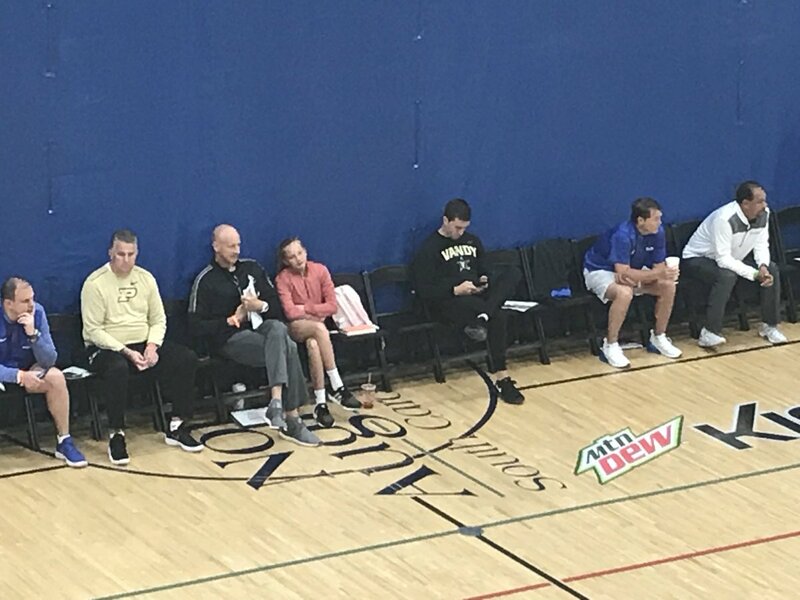 11:05 AM: John Calipari and Kenny Payne watching Jaden McDaniels and Tyrese Maxey. Joel Justus watching DJ Jeffries and James Wiseman. 9:54 AM: A one time double-digit lead was cut to two and Vernon Carey Jr. has gone into monster mode. Back-to-back strong finishes. He reminds me of a bigger Julius Randle. 9:46 AM: Vernon Carey hits a clutch three. Calipari’s jaw-dropped. He’s made three or four today. Jeremy Roach has visited UK a couple times. He’s playing well right in front of Kentucky’s staff. 9:30 AM: Carey’s team up eight at the half on the younger 2020 targets. Carey doesn’t look as engaged as he did against Wiseman, but again, five games in three days is tough. Still playing solid. 9:22 AM: Hunter Dickinson and Jeremy Roach also playing in this game. Two guys UK has talked to in 2020. 9:15 AM: Kentucky rolling three deep watching Vernon Carey and Scottie Barnes (2020). Second time they’ve been three deep for his game. I was about to correct you TJ! I thought you said that Houston was going to hold on and move to 2-0…nice catch and correction. Great updates and keep them coming! I’m watching from work. Even in the loss, Bluff City showed a lot of heart coming within 2 points late in the game after being down 20 AND without Wiseman. How did DJ look in the game?